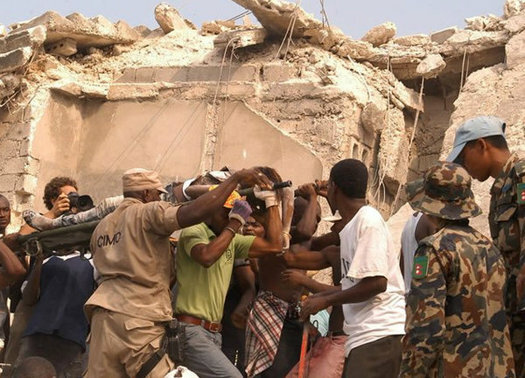 A 7.0 earthquake rocked Port-au-Prince in Haiti earlier today. Haiti is a desperately poor nation at the best of times. Weaker and older structures will mean even worse damage and loss of life, and in a nation where hunger is routine the disaster will only worsen the situation. If you have the ability to provide monetary help, Food For The Poor has a Haiti earthquake donation page. My prayers on the way.